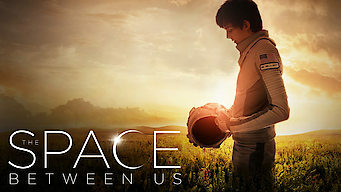 How to watch The Space Between Us (2016) on Netflix Netherlands! Yes, The Space Between Us is now available on Dutch Netflix. It arrived for online streaming on January 7, 2019. We'll keep checking Netflix Netherlands for The Space Between Us, and this page will be updated with any changes. After years of limited contact with Earth, an inquisitive teen who lives on Mars makes an interplanetary trek to discover his own origins. He’s traveled the cosmos to meet the people closest to him. But is a boy who was born on Mars meant for this world?